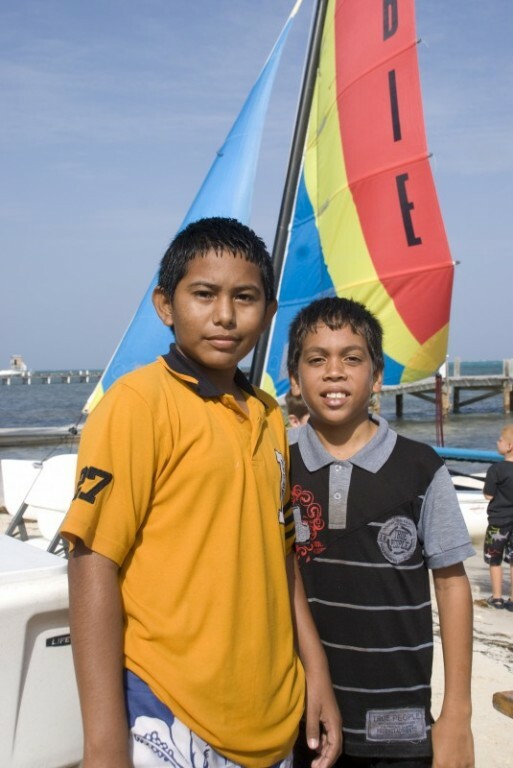 The Belize Sailing Association has just asked the San Pedro Sailing Club to prepare a youth team to represent Belize in the 2012 Optimist Class North American Sailing Championships. This championship is open to sailors from all countries. The week-long event will take place October 20 – 28 at Valle del Bravo on Mexico’s picturesque Lake Avandaro. 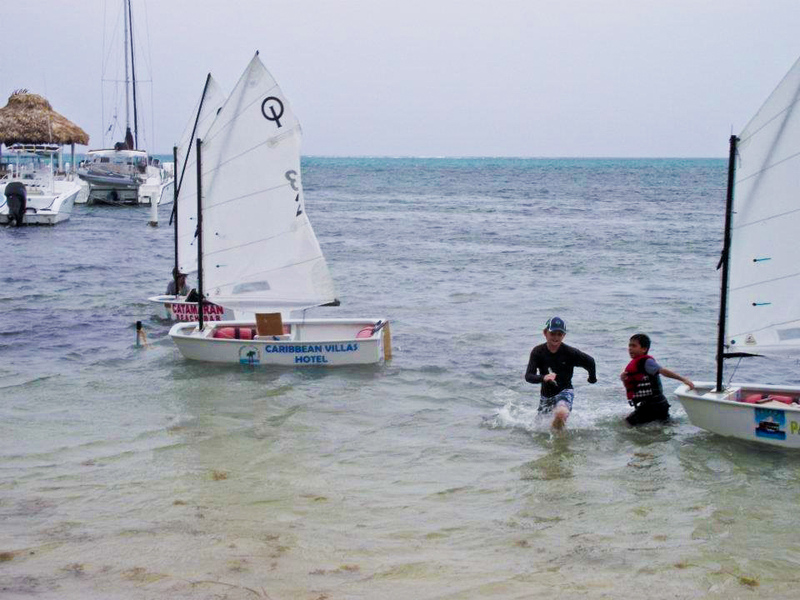 Belize’s 2011 Optimist Class National Champion Alexander Rhaburn, 11, of Holy Cross Anglican School has already secured an invitation. The Sailing Club believes it can provide the logistics and funds needed to bring him and three others to the event. Every race between now and then becomes especially important, because the points earned will determine who the other team members will be. Last Sunday, April first, 12 of the young sailors turned into cake pirates! 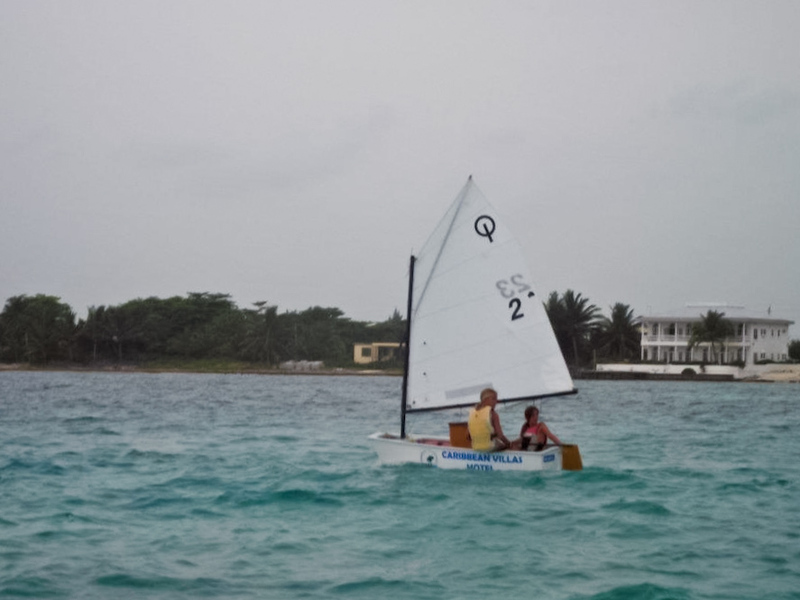 With two to a boat the kids pulled a surprise coastal raid on the fundraiser held at Athens Gate Resort for the South Ambergris Caye Neighborhood Watch. The booty they were after was flourless chocolate cake made especially for them by Dee of Wayo’s Bar. She was the only one who knew they were coming! The Cake Sail was actually a whacky race, just for fun, and not one counting toward making the national team. At the start, the 12 young sailors ran into the water, untied their boats, tumbled aboard, and the race was on. When they got close enough to shore at Athens Gate, they jumped out and one team member held the boat while the other scrambled ashore as best he or she could, through knee deep muck and hollering, “WHERE’S THE CAKE?” The guests at the fundraiser were taken by complete surprise. Soon the cake raiders found Dee and grabbed their zip-lock-sealed booty. They raced back to their boats, still shrieking, either about the mud, or to tell their team mates to get ready, or just whooping for the fun of it! The return leg of the Cake Sail featured choppy water and wind strong enough to provide a challenge. To finish the race, teams had to scramble ashore, run cross the finish line, and then eat their cake. Kevin Velasquez and Jorge Oliverez led the whole way on the water, both down to Athens Gate and back to Sailsports at Caribbean Villas. They finished first in the Palapa Bar boat. In the Caribbean Villas boat, Faith Noel and Tiegan Jones came in second; although Faith had a hard time: for some reason, she hates cake! Third place went to Blanca Velasquez and Michael O’Farrell in the Catamaran Beach Bar boat. Ambergris Lakes Villas came in fourth with Morgain Jones and Mitch Sersland aboard. Fifth were Lily Hayden and Stephanie Keating, aboard Palo Alto. A quarter mile from their mooring, mast and sail issues aboard San Pedro Weather deprived ZiZi Ayala and Beverly Medrano of control. Baling their swamped boat, they managed to bail their cake overboard too! They were rescued by the Sailsports staff and arrived still laughing. Someone even found them another piece of cake to share, and with that the Great 2012 April Fools’ Day Cake Sail came to its goofy end. To kick off the campaign to send our team to the North American Optimist Championship Regatta, a scavenger hunt will be held at The Hotel this Saturday, April 7th at 1pm. The sailing team will be sailing there from Caribbean Villas for an Easter egg hunt. All proceeds will go to the Sailing Club. If you are interested in donating to an amazing cause for some terrific kids please let us know. The scavenger hunt prize is an "adult" gift basket, dinner for two at Molly Malone’s, a $100 bar tab and a two night stay at The Hotel when the rooms are officially open. For more information please call Tammy Peterson at 610-0226.